New Hampshire is one of the fastest growing aging populations in the country, and we invite everyone to join this important SPOA effort as we plan for our future! 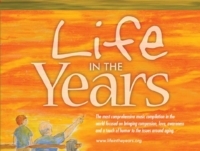 The NH Department of Health & Human Services (DHHS), Bureau of Elderly and Adult Services (BEAS), and the NH State Plan on Aging Planning Committee are developing the State Plan on Aging (SPOA). The SPOA is a four-year plan that will help guide our state’s efforts in understanding, serving, supporting and celebrating older adults across our State. As part of this process, we ask for your input and participation in the development of the State Plan on Aging. We invite you to Take the Survey! 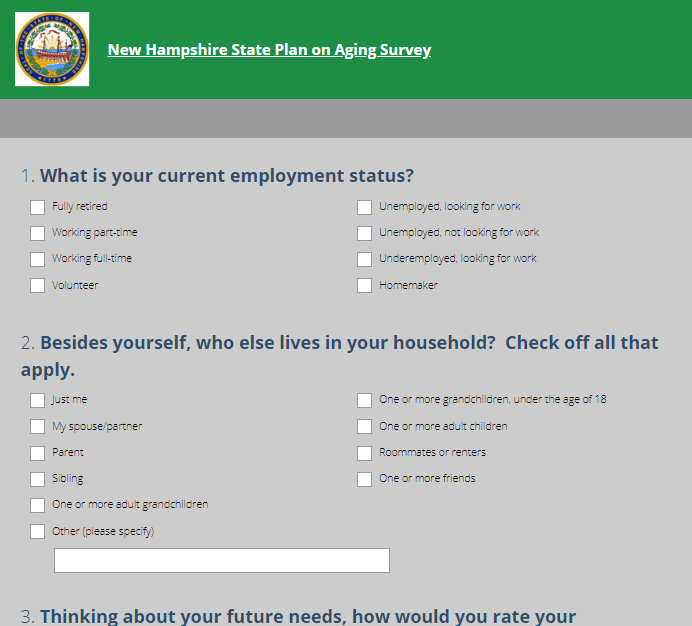 This 29 question survey is part of a statewide outreach effort to improve our understanding of the needs of people who are aging in NH. It should take you about 10 – 15 minutes to complete. The Survey will close on January 15, 2019, so please take the survey now and share it with others!